Colin Lewis’s brief is to target service excellence. Colin Lewis joins Hybrid to take up the new position of Operations ManagerExclusive UK and Irish Mimaki distributor, Hybrid Services Ltd has created a new position within its management team, with the appointment recently of Colin Lewis as operations manager. 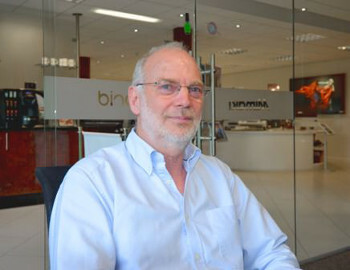 Lewis brings with him over 40 years’ experience in the customer service and technical sectors to the company. Hybrid distributes and supports Mimaki’s complete range of wide format printers, cutting plotters, software and consumables through its established reseller network and further information on the full product line-up can be found by visiting its website at www.hybridservices.co.uk.